There’s a reason Dr. Randy Lynn Newman has received numerous teaching awards, including the Acadia Alumni faculty Award for excellence in Teaching. Faculty who are passionate about teaching are the foundation of an Acadia education. From business to biology, from the performing arts to environmental sustainability, our professors are leaders who prepare our students for life. 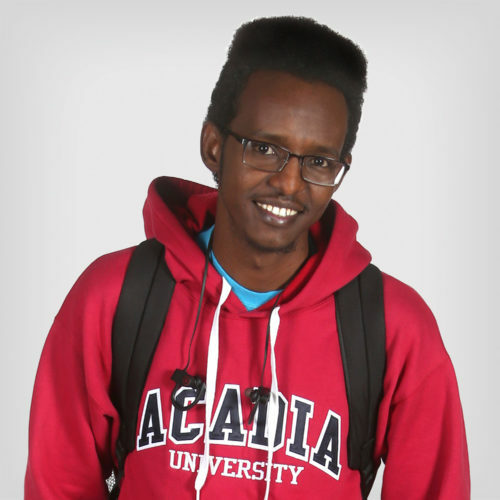 With more than 200 degree combinations across four faculties, Acadia immerses students in an education that is purposely collaborative and transdisciplinary. success. Small classes, an idyllic setting, and a tight-knit scholarly community foster inspiration in the classroom and beyond. We know that exceptional teaching fundamentally changes the learner, altering the way students come to understand themselves and others and forever enhancing their ability to serve society. To sustain this unique approach to post-secondary education, Acadia must retain and attract outstanding faculty committed to delivering the best undergraduate experience in Canada. Create new endowed professorships and chairs. Invest in pedagogical technology, training, and supports. Establish new professional development opportunities for faculty. Expand opportunities across disciplines for scholars-, executives-, and artists-in-residence. Create supports to attract post-doctoral scholars. Enhance opportunities for visiting scholars. Promote and facilitate lifelong learning.